In the 21st century you can have instant coffee, instant meals, even instant dating. Why not instant payday loans? The truth is that so-called instant payday loans often have many strings attached that can tie you down for months or even years after the money is gone. 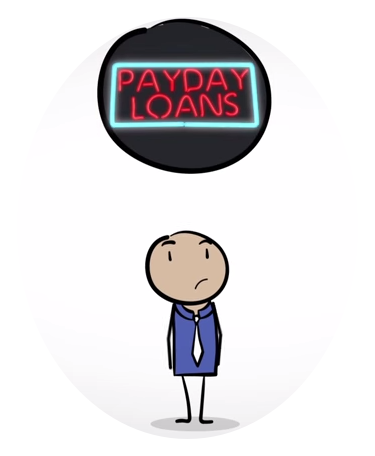 With LoanNow you can get the money you need quickly, without being tied to the endless cycle of payday loan payments. Outside of friends and family, there are two major sources of short-term loans: pawn shops and brick and mortar payday loan stores. Pawn shops provide cash on the spot in exchange for temporary possession of tangible objects of value such as jewelry, electronics or musical instruments. You typically receive only a portion of the fair market value of the item and you have a set period of time to repay the loan. Local payday loan stores provide instant payday loans based on your application – in exchange for one or more post-dated checks made out to the payday loan store. The store deposits the checks on the dates listed, whether you actually have money in your account to cover them or not. Online payday lenders often claim to offer instant loans, but those claims are frequently misleading. Online payday loans usually use the Automated Clearing House system to make deposits and withdrawals from the borrowers’ bank accounts. 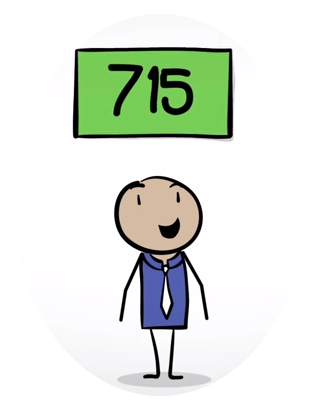 Since ACH transactions are processed through the banking system, most online payday lenders cannot actually process loan disbursements until the following business day. If you apply for an online payday loan on an evening, weekend or holiday, you may wait several days to receive a deposit into your bank account from an online payday lender. At LoanNow, we don’t claim to offer instant payday loans because we’re not a payday lender. But that doesn’t mean that you can’t receive the money you need quickly. Our online-only ** application system generates responses for nearly all applicants within 24 hours.† And once you’re approved, if your bank participates in our Instant Funding‡ system, you can have your cash available on your debit card within minutes * – even after hours, on weekends and on holidays. LoanNow also makes repayment as manageable as possible. Our repayment schedules feature reasonable monthly installment payments, not payment up front within a few days or weeks like payday loans. We also say no to rollovers, early repayment penalties and hidden fees that can jack up the amount you owe and trap you in an endless cycle of debt. We provide the money you need with repayment terms you can live with. Why not try the LoanNow difference for yourself!